Proposal seeks to transfer kashrut authority from Chief Rabbinate to private "kashrut corporations." A new bill to privatize control of the kashrut system was submitted to the Knesset by MK Aliza Lavie (Yesh Atid) with the support of the Hitorerut movement in Jerusalem. The proposal is co-signed by MKs Yehuda Glick (Likud), Amir Ohana (Likud), and Elazar Stern (Yesh Atid). The proposal seeks to transfer the authority over kashrut policy from the Chief Rabbinate to private entities - "kashrut corporations". The proposed kashrut corporations would be obligated to publicize their kashrut practices, whose authority established them, and how their rules are enforced. According to the bill the religious councils could continue to provide kashrut certificates but exclusivity on the term "kosher" would be taken from them and become public domain. Those proposing the bill say it will improve kashrut mechanisms and the level of kashrut, and reduce costs, all while creating of a wider range of kashrut certificates in accordance with demand in Israel. 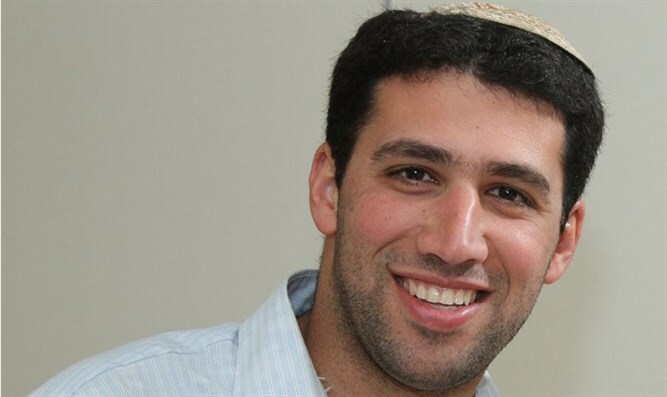 Elad Malka, the Jerusalem Hitorerut party member who drafted the proposal, explains the rationale behind it: "For many years, the failings in kashrut have been discussed at every level: in terms of proper governance, cost-effectiveness, and values. This bill is the first comprehensive attempt to deal with the issues through the transfer of power from the government to citizens. The State's role will be to supervise the kashrut bodies' transparency and control, and nothing else." He said, "For thousands of years of exile, the Jewish people produced voluntary kashrut supervision institutions that did a great job and there is no reason why today, when we can develop private kashrut without limitations, the Jewish state should stand in the way. If the bill is passed we can look forward to more variety in kashrut certifications, greater efficiency in kashrut, reduced cost of living, and most importantly, higher quality basic kashrut." In the US, there are various kashrut supervisions, but not all are considered reliable. The idea behind the Chief Rabbinate's kashrut certificate was that people could be more stringent than the Rabbinate and look for special kashrut certificates, but that the Rabbinate sets a kosher standard that is reliable. MK Aliza Lavie, Chairman of the Nation, Religion, and State lobby in the Knesset, and a critic of the Chief Rabbinate, notes that "kashrut in Israel has unfortunately become a corrupt and bloated setup, suffering from explicit conflicts of interest in relationships between supervisor and supervised, a lack of uniform standards of control and supervision, and in extreme cases, suspicions of criminality. As a result, confidence in public institutions has steadily eroded, and consequently the status of the Chief Rabbinate and the quality of kashrut has eroded. In the end, we are also left with the cost of billions to the economy that directly affects the cost of living even with no kosher product having been produced. It requires a deep, basic reform and this bill is a significant step in the right direction."